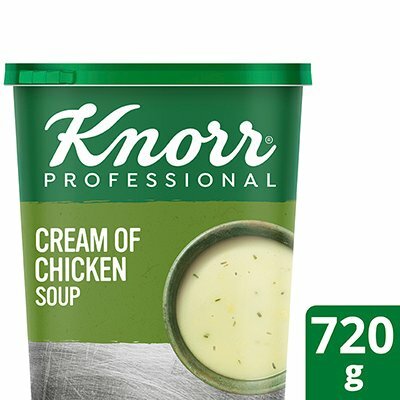 Knorr Cream of Chicken Soup can help simplify a kitchen's operations in many ways. It is the ideal a soup base for all your cream soups. Contains gluten, egg and dairy products. Try adding it to your béchamel sauce for all your chicken pastas.